Dental amalgam mercury pollutes the environment through wastewater from dental offices, human waste, cremation and burial, and emissions of mercury vapor. Once in the environment, mercury pollution damages animals, plants, and the entire ecosystem, with dangers existing as a result for centuries.6 More information about dental mercury’s harm to the environment. Human health risks have been clearly associated with the use of dental mercury. 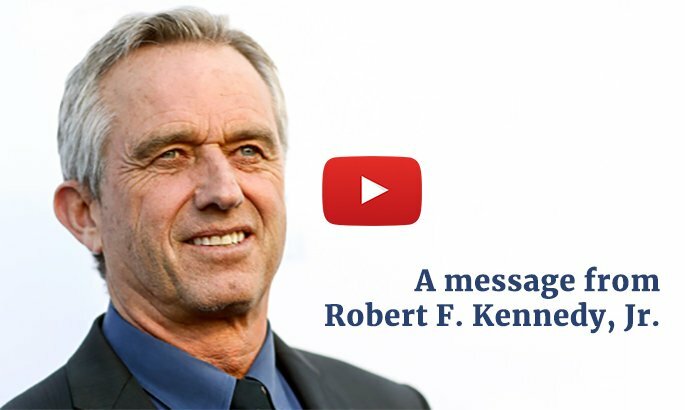 Scientific research has related the mercury in dental amalgam to Alzheimer’s disease, amyotrophic lateral sclerosis (Lou Gehrig’s disease), antibiotic resistance, autism spectrum disorders, autoimmune disorders/immunodeficiency, cardiovascular problems, chronic fatigue syndrome, hearing loss, kidney disease, multiple sclerosis, Parkinson’s disease, reproductive dysfunction, and other health problems.7 Additionally, authorities have issued distinct warnings about mercury’s use in children and pregnant women. Furthermore, scientific studies have demonstrated potential hazards of mercury in the workplace to dental workers and dental students. 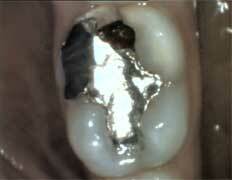 8 For more information about the health risks of dental mercury. Potential responses to elemental mercury, the form used in dental amalgam fillings, include hundreds of specific symptoms, which can vary from person to person and change over time. Mercury vapor is absorbed by the lungs and passed to the rest of the body, particularly the brain, kidney, liver, lung, and gastrointestinal tract. The half life of metallic mercury varies depending on the organ where the mercury was deposited and other factors. More information on the symptoms and effects of mercury exposures. Some consumers have mercury-containing amalgam fillings removed due to device failure, personal preference, or other reasons. However, it is important to note that removal of dental mercury requires a number of precautions because an unsafe amalgam removal process releases mercury vapor and particles that can be harmful to the patient, the dentist, the dental staff, and the environment. The International Academy of Oral Medicine and Toxicology (IAOMT) has developed safety recommendations for the removal of existing dental mercury amalgam fillings known as the Safe Mercury Amalgam Removal Technique (SMART). More information about SMART. Alternatives to amalgam fillings include composite resin, glass ionomer, porcelain, and gold, among other options. Most consumers choose direct composite fillings because the white coloring matches the tooth better and the cost is considered moderate. More information on alternatives to mercury fillings. 1 World Health Organization. Mercury in Health Care [policy paper]. August 2005: 1. Available from WHO Web site: http://www.who.int/water_sanitation_health/medicalwaste/mercurypolpaper.pdf. Accessed December 15, 2015. 2 Heintze SD, Rousson V. Clinical effectiveness of direct Class II restorations—a meta-analysis. J Adhes Dent. 2012; 14(5):407-431. 3 Makhija SK, Gordan VV, Gilbert GH, Litaker MS, Rindal DB, Pihlstrom DJ, Gvist V. Dental practice-based research network restorative material: Findings from the characteristics associated with type of practitioner, patient and carious lesion. J Am Dent Assoc. 2011; 142: 622-632. 4 Simececk JW, Diefenderfer KE, Cohen ME. An evaluation of replacement rates for posterior resin-based composite and amalgam restorations in U.S. Navy and Marine recruits. J Am Dent Assoc. 2009; 140 (2): 207. 5 United States Food and Drug Administration. About dental fillings: potential risks. Last updated 2 February 2015. Available from FDA Web site: fda.gov/MedicalDevices/ProductsandMedicalProcedures/DentalProducts/DentalAmalgam/ucm171094.htm. Accessed December 15, 2015. 6 Pirrone N, Mason R. Mercury Fate and Transport in the Global Atmosphere: Emissions, Measurements, and Models. New York, New York: Springer. 2009: 166. 7 For a detailed list of health risks related to dental mercury, see Kall J, Just A, Aschner M. What’s the risk? Dental amalgam, mercury exposure, and human health risks throughout the lifespan. Epigenetics, the Environment, and Children’s Health across Lifespans. David J. Hollar, ed. Springer. 2016. pp. 159-206 (Chapter 7). And Kall J, Robertson K, Sukel P, Just A. International Academy of Oral Medicine and Toxicology (IAOMT) Position Statement against Dental Mercury Amalgam Fillings for Medical and Dental Practitioners, Dental Students, and Patients. ChampionsGate, FL: IAOMT. 2016. Available from the IAOMT Web site: iaomt.org/iaomt-position-paper-dental-mercury-amalgam/. Accessed December 18, 2015. 8 For a detailed list of health risks to dental workers and students related to dental mercury, see Kall J, Just A, Aschner M. What’s the risk? Dental amalgam, mercury exposure, and human health risks throughout the lifespan. Epigenetics, the Environment, and Children’s Health across Lifespans. David J. Hollar, ed. Springer. 2016. pp. 159-206 (Chapter 7). While its use has essentially been eliminated in many countries, dental amalgam is now being considered for a global phase-out in the ongoing mercury treaty negotiations1 and in the European Union (BIO 2012) because of significant environmental concerns. The negative effects of mercury releases related to amalgam use are widely recognized in countries where its use has been prevalent: it is often the largest source of mercury in municipal wastewater as well as an increasing source of mercury air pollution from crematoria. On the other hand, high-quality mercury-free alternatives have long been available. While most dental professionals charge lower prices for amalgam fillings than for mercury-free alternatives, this paper shows that when factoring in “external” environmental and societal costs,2 amalgam is a higher-priced dental material by far (Hylander and Goodsite 2006). Ultimately, society pays for mercury releases related to amalgam use through additional pollution control costs, the loss of common (public-owned) resources, and the health effects associated with mercury releases and contamination (MPP 2008). 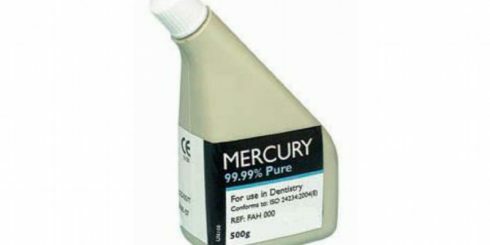 Medical laboratories have established that dental amalgam tooth fillings are a major contributor to mercury body burden. 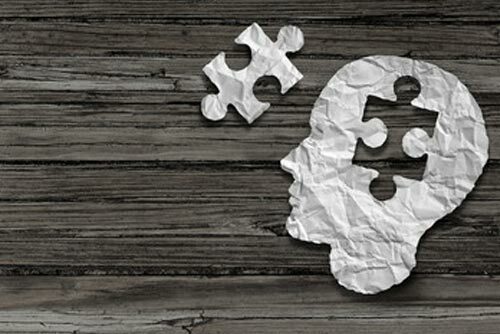 This short presentation on University of Calgary’s Faculty of Medicine’s website reveals how mercury ions actually alter cell membrane structure and how mercury in fillings can destroy brain neurons as seen with people who have Alzheimer’s Disease.